You’ve probably seen this type of fire at least a few times on social media. If you know how it’s supposed to be a great all-night fire, skip to the next paragraph. If you don’t, I’m going to quickly explain what it’s all about. 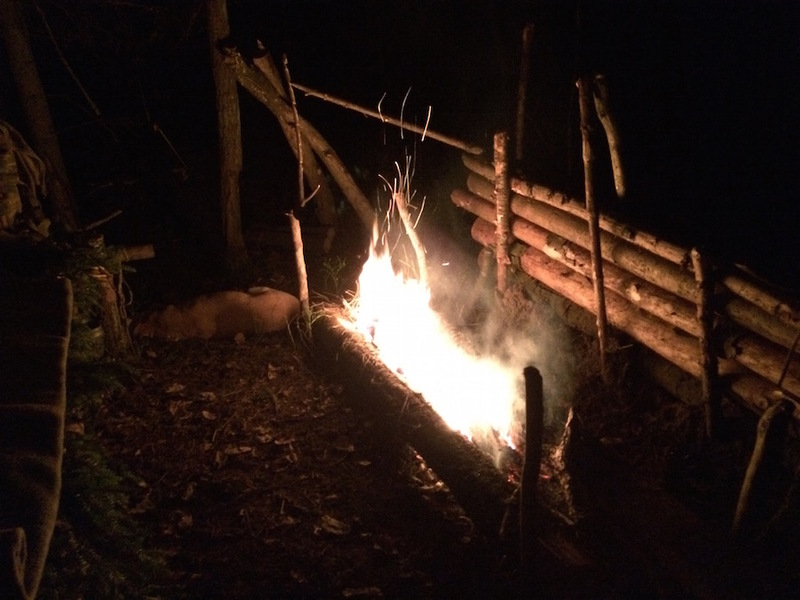 This is simply a type of fire that is supposedly self-feeding and, if done properly, is said to keep you warm all night by allowing the logs to slowly catch fire from one another as they burn out and slide down. I’m not going to bore you with technicalities. If you want to see and hear more, just watch the video below. I guess we could say there are three main elements that determine whether or not a particular type of fire lay makes sense. 2. Is it going to keep me warm on a cold night? 3. Is it easy to build and maintain? Unfortunately, in this case the answer is no, no and no. 1. 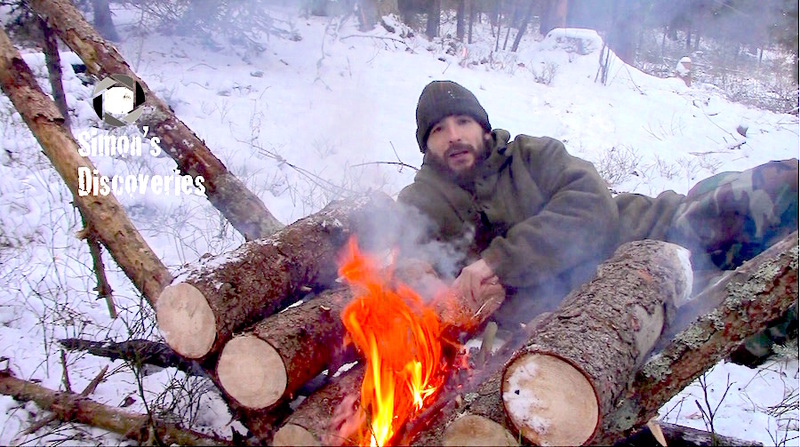 The way it is set up makes it very easy to set the frame as well as the entire firewood supply aflame within minutes. I don’t have to tell you what a giant flame torch like that means in the woods among trees. Yes, you can use green wood but even green wood will eventually dry out and catch on fire. It actually doesn’t take that long. 2. Another problem with green wood is smoke and rather low heat output. The V shape that is supposed to make the fire maintenance-free, inherently forces you to sit or lay in the coldest and smokiest spot possible. 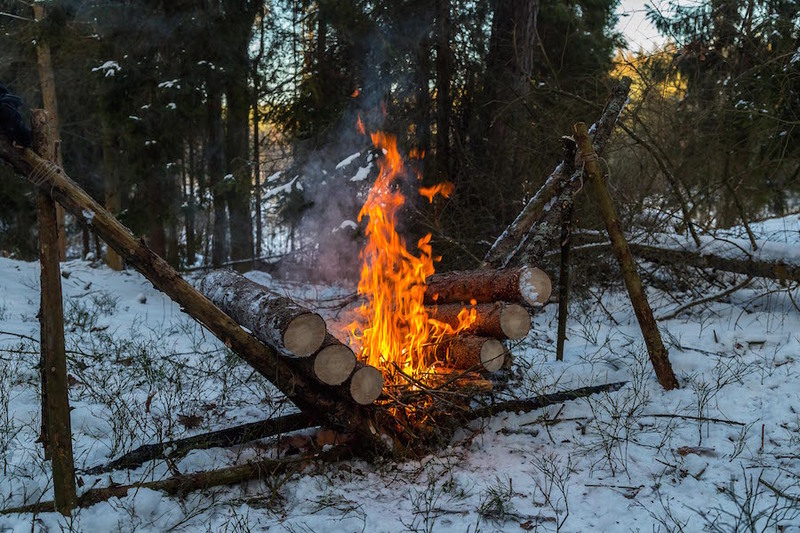 When preparing an all-night fire, we usually want it to be a bit longer than our bodies in order to keep us warm from head to toe. It’s easy to imagine what’s going to happen when all we have is just a tiny bit of a fire pointing toward our belly button, with most of the heat being reflected upward and wasted. If possible, a fire should be oriented parallel to the wind allowing it to pass freely between our bed and the fire and reflector if we have one. If we block the air flow to the right and left, we’re inevitably always sitting in the way of the smoke. 3. I personally don’t believe in maintenance-free fires and this one is no exception. There is simply too many factors that we have no control over, that can affect the way a fire burns. Wind strength and direction (which BTW can and often does change throughout the day or night), wood and air humidity, wood type and availability… Because we can’t forget that more often than not, we work with what we have, rather than what we’d like to have. But this V-shaped fire is especially tricky because it requires a special frame to support the wood supply. Building it takes extra time and effort, which doesn’t really pay off when it comes to the fire efficiency. Not to mention, the danger associated with the firewood supply being positioned almost directly above the flames. All it takes is a little stronger wind to blow the flames out of control while we’re asleep, which calls for extra vigilance at all times. My opinion? If you really want to save yourself some time and trouble, stay away from such contraptions created to generate Facebook likes and YouTube views.